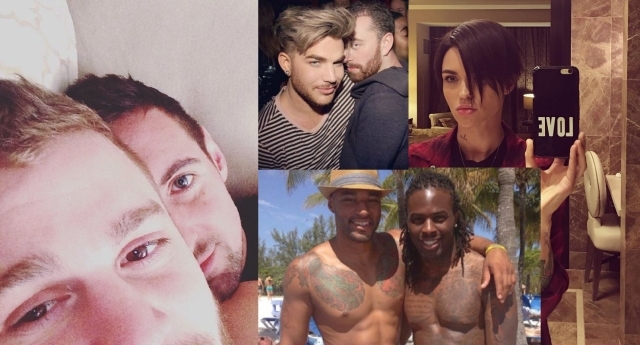 In a stunning turn of events, there are a lot of gays on Instagram. We are frankly too shocked to go on… but that’s the conclusion of a UK government analysis of social media users. The Department of Culture, Media and Sport drew findings from its Taking Part survey, aiming to “clarify how representative users of the most popular social media platforms are of the general population”. Comparing people’s stated sexual orientation to their social media habits, the report found that LGB people were more than twice as likely as straight people to use Instagram or Twitter – and are also more likely to use social media in general. The report states: “A greater percentage of Lesbian, Gay and Bisexual (LGB) people use each platform than heterosexuals, indicating LGB people are more likely to use social media in general. “The percentage of LGB people using each platform varied between 25.2 percent for LinkedIn to 76.8 per cent for Facebook, while for heterosexuals it varied between 13.0 per cent for Spotify to 57.3 per cent for Facebook. “The proportion of LGB people using Spotify, Instagram and Twitter is over twice that for heterosexuals. These results may be because a greater percentage of younger people identify as LGB in the Taking Part survey. Elsewhere, the report found a vastly disproportionate number of men using employment-networking site LinkedIn, while men were also more prevalent on Twitter and YouTube. However, Facebook and Instagram saw majority-women audiences – leaving social media as a whole with a rough gender parity.